We welcomed both Dr. Brian Weeden and Dr. Namrata Goswami back to the show for a comprehensive one segment 97 minute discussion on the need to create a U.S. Space Force. Dr. Weeden started the discussion with commentary on how things are and have changed regarding space as a domain of its own. He talked about this change not being handled well by the USAF as in the past space has been part of the overall air mission but now is coming into its own with needs for a separate space mission. I asked Brian if this perspective was present when I first met him and he was doing his first Space Show program from inside Cheyenne Mountain. Don't miss his reply to his question. Dr. Goswami pick up the conversation and talked about the geo political focus now though she said it was present years ago and referenced the Rumsfeld Commission Report from 2001. Over the years, space has had a hard time coming into its own as part of the Air Force as the AF mission has been focused on air, fighter planes, bombers, and such. She mentioned that one of the pivotal events in forcing changes in culture and space as its own domain happened in 2007 with the Chinese ASAT test. China and its space policy were a big part of today's discussion. Just as important was the focus by our guests on Chinese long term thinking and planning. This was referenced throughout the discussion. Let us know what you think about this in comparison to US planning. Post your comments and thoughts on our blog. Brian pointed to the CSIS Report "How Much Will the Space Force Cost" which became a discussion point for much of the early part of our program. The link to this report is on our blog and I urge all of you to read it. Brian went through the options outlines in the report regarding how a space force or something similar might be crated, what it might look like, and what the cost might be for the particular option. As you will hear in our discussion, some of these options are on the table for the space force discussion. As for timing, our guests thought most of this will be clarified early next year when President Trump submits his budget proposal plans to Congress. Namrata pointed out that with the statement by President Trump on June 18th saying that the US would create a separate military force to be known as the Space Force, everyone was surprised as that had not been at the top of the list until his announcement. There has been pushback against that by senior USAF leadership and others, especially since creating a separate military entity would compete with AF funding, allocations, and acquisitions. Please listen to all of this discussion with both Namrata and Brian as they point advocate their respective perspectives on the issue. Also note how Brian said he has modified his position over time and why. One of the points made by Brian focused on the would be bureaucracy of a space force. He talked about probable personnel size, comparing the size to today's Coast Guard, and suggested that for a military to work it needs to be a big pyramid but given how small the service would be, the ratio of flag and top officers to personnel would be very small compared to what was usually needed for a military organization. Thus, he was skeptical from this perspective. We talked about ways to enlarge the space force including having cyber security fall under its control. Brian had much to say about this idea so don't miss it. A few minutes later, listener Connie called in with some Coast Guard (CG) size stats. We learned that the CG has about 41,000 active members not including civilian personnel. Later, Brian did some research and said that the size of the Coast Guard included 43 flag officers or 1 flag officer per 1,000 military personnel. He pointed out that there were two four star admirals. He then compared this to a space force that would be about half that size and again voiced skepticism given the probable small size of the space force. Namrata talked about China and India space industry growth which was projected to continue over the coming 20-30 years. She also pointed out that space was about a $400 billion industry now but should grow to $1.2 trillion in 20-30 years. Namrata then discussed both the five year and long term plans regarding space as referenced by Chinese President Xi. Brian responded that he was pragmatic in his view and analysis and pointed to the U.S. broad based commercial space industry as playing more and more of a role in space and space defense and national security. John from Ft. Worth called. He suggested that the space force idea was better suited for being structured as an intelligence agency since he doubted there would be a need for troops to fight. He thought everything would be done behind a computer in classified office. Brian responded to John's suggestion by reminding us how the policy makers and congress view space and the need for changing things away from the status quo within the Air Force to something else which would be in support of the military warfighter needs and commands. Our guests talked about how the US military was organized and why space was being treated as a warfighter domain. As such, none of the policy folks or Congress were considering the option John was suggestion. Chinese lunar plans were discussed as was the mention of the recent Chinese launch to the back side of the Moon. Namrata mentioned that in the Air Force core class curriculum of 450 hours of classwork, only four hours was devoted to space. 446 hours was devoted to air power. She pointed out that this makes the case that space should be separated from the Air Force with its own mission and directives. More was said about China to support the separate space force idea with concerns expressed by each guest. I asked each of our guests if China was our only concern or if Russia was still a concern as it once was when it was the Soviet Union. Our guests said Russia as the top current concern but China was a gigger long term concern as Russia was a declining power but still a very powerful power. Brian later suggested that we needed a change in favor of reorganization but listen to his plan and what he suggested. 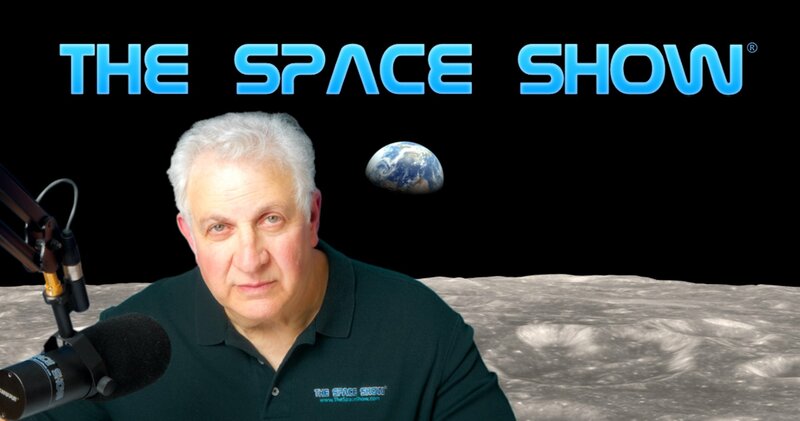 He also referenced some of the space force comments by a previous Space Show guest, Doug Loverro (the link to his program is www.thespaceshow.com/show/05-nov-2018/broadcast-3220-douglas-loverro). I asked both guests how we assure quality once a reorganization was made given that it was likely the same people would be involved, just wearing different uniforms and getting a pay check from a different government organization. If the people did not do so great before, why now post reorganization. The response from each guest was most interesting so I urge you to listen carefully as to what was said. In short, the reorganization would probably lift cultural restrictions that had been on key people so now they would be free to be creative and would not be bound by legacy or existing ways of doing things. Namrata said that the space professionals would be liberated as to vision, culture, and more. Several examples were given including the move to the Air Force from the US Army Air Core, Billy Mitchell who fought for a separate Air Force plus other examples were cited. Once again the DOD FY 2020 budget came up as both our guests said that would be crucial for creating a space force. In addition, it was pointed out that there was as yet no clear space force mission described by the administration. That needs to happen so look for that to be released early next year. We took one more email question which was from Judy in Tucson. Judy thought the space force educational outreach was of poor quality so far and mentioned what her friends thought about a space force given they were not involved in the space community. Please listen to all of what Judy said and to what each of our guests said in response to her comment. Both Brian and Namrata offered closing comments for us. Please post your questions/comments on our blog for this show. You can reach either Dr. Weeden or Dr. Goswami through me or their website. Should we create a new U.S. Space Force?